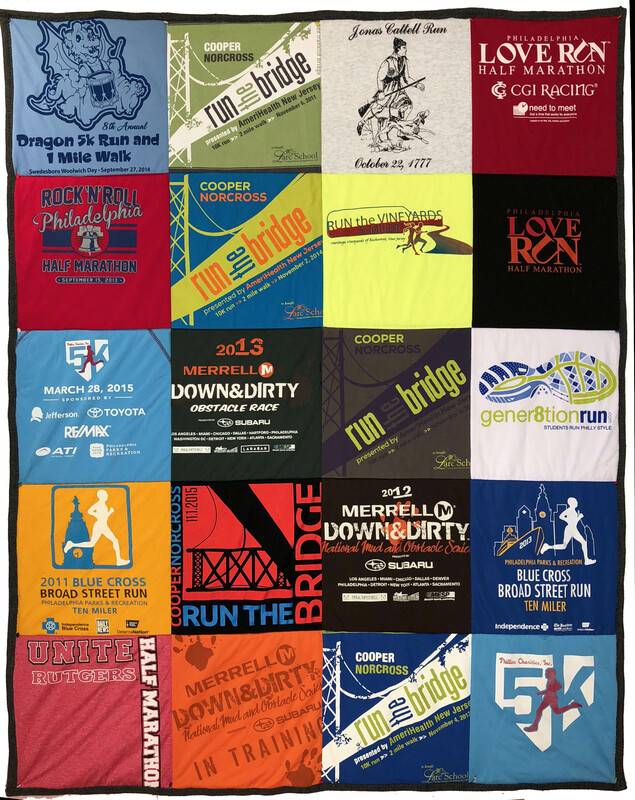 ​Below you will find the most common quilt layouts and their prices. 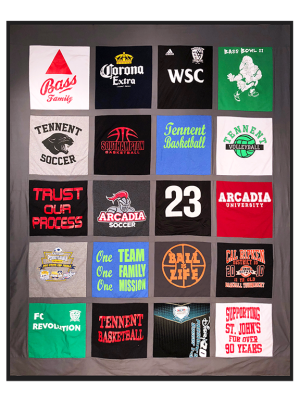 With these options, you will need 9, 12, 16, 20, 25, or 30 images from a shirt. Remember that we can use the back of the shirt as well! I don't know about you, but I have NO idea how big of a quilt I would need for a Full or Queen quilt, so there is a chart to the right of common sizes. Use this in conjunction with the layouts below to get the exact size you want. Keep in mind that these are just suggestions. 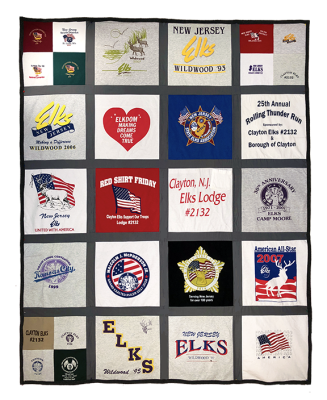 We can make any custom quilt that you like! You are only limited to your imagination! 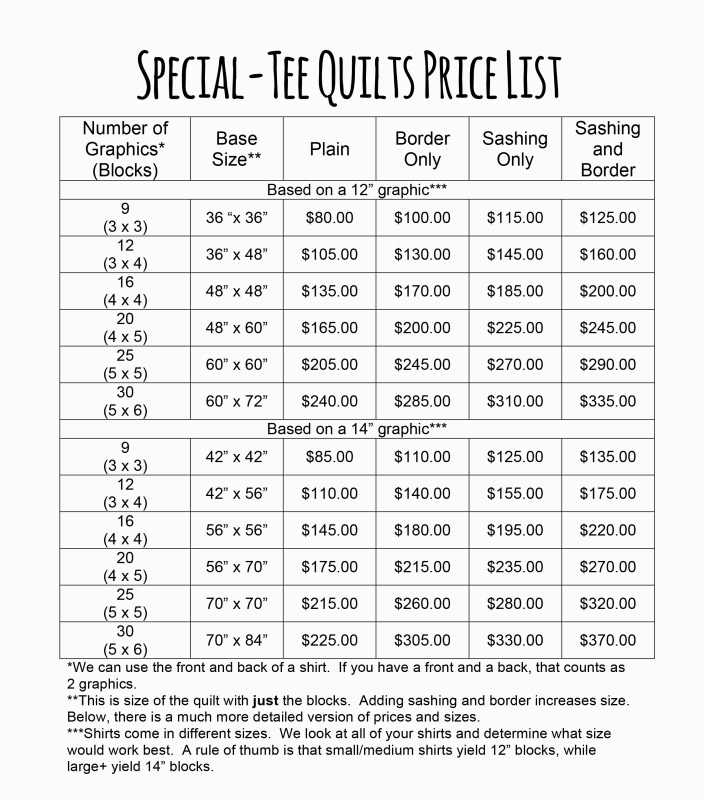 Custom orders will change the prices below, but that will all be worked out in our consultation. No cuts will be made without approval. 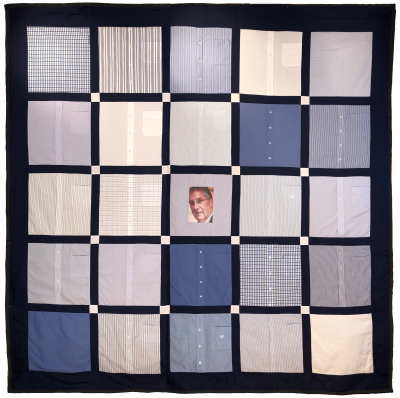 You can see the various layout at Building Your Quilt or Gallery & Testimonials . 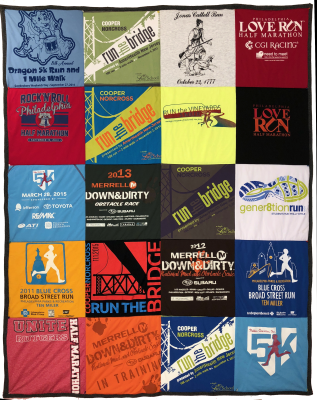 We have found that the most common block size is either 12" (small, medium, large shirts) or 14" (XL and up), so the prices and sizes below reflect these two sizes. 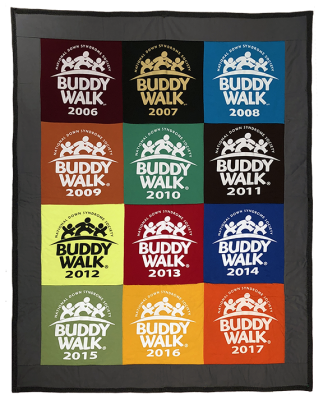 After getting the shirts, we will give you the measurement that works best with your shirts. Like stated above, nothing will be done until full layout and price approval is given. Prices do not include batting. The additional cost for batting is below each section. See more about batting on the Building Your Quilt page. Here is the Price List simply stated. For more detailed information about each, keep scrolling down.